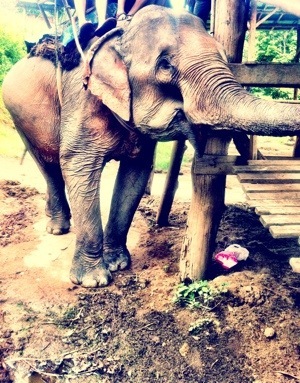 akupofkatie: Elephants, cooking, and squatty potties in Chiang Mai! 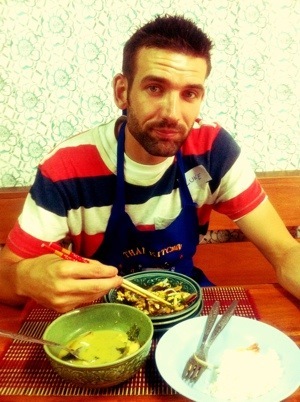 Elephants, cooking, and squatty potties in Chiang Mai! Yo. I can't sleep. Ugh! on vacation and NOT sleep in? I lay once again turning back and forth (loudly so the MVP will wake up he he). I thought it would be a great time to pray, praise, and well write. So I'll do all three! Where did I leave off last time? I believe the tiger day... I'll post another picture of the tiger that I didn't post last time. I showed you the baby one but we also spooned the BIG CATS. Not gonna lie. It was frightening. But soooo cool! I have some better pictures on my real camera but you have to wait another week! 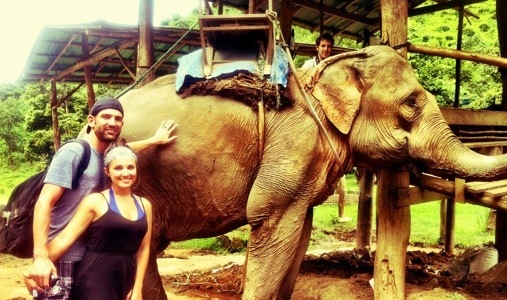 Okay so after the tiger day we booked a whitewater rafting/ride the elephants day. One of the best days yet! Unfortunately I have ZERO pictures of the rafting because we couldn't take our cameras, however, I have LOTS of the cute ellies! You guys, we were in the jungle of Chaing Mai alongside the Maetang River. I kept repeating that it reminded me of Jurassic Park. Then I stuck my arm out and asked the MVP to pinch it, just to make sure this wasn't a dream. The backdrop looked like a postcard...stunning, alive, and lush. There we sat with an elephant below us swaying back and forth eyes set on God's incredible landscape design. 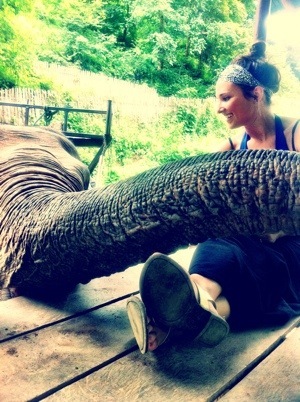 This was no zoo elephant riding, this was as real as it gets. 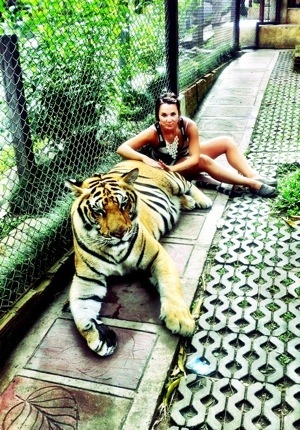 Do you know how incredible those animals are? Man, God you amaze me! determined to witness it all. His creativity never gets enough credit! There was one minor, no MAJOR, problem. Take a guess? You get the idea, right? Hmmm. Well were not ONLY doing tours. In the other hours we are enjoying massages (we've literally had 6 each already!) and chatting over coffee and cocktails. People watching is the best here! 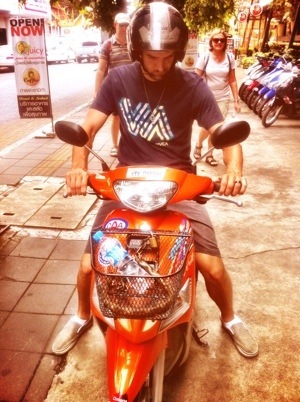 Today we leave Chaing Mai (sad!) 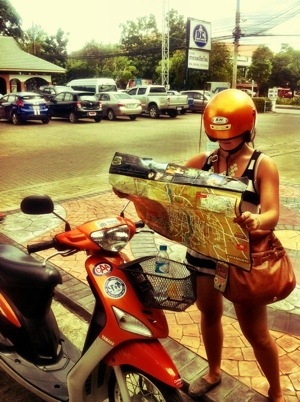 BUT adventure to the beautiful island of Phuket. We are SO excited to relax, explore our hotel, and watch the sunset! Again, thanks for your love and kindness for us. Ps: how's everybody at home? I've talked ENOUGH about us... Fill me in!